"Rafa is clearly keen to get back to winning ways after Wimbledon and arrived here early to acclimatise to conditions.. if it’s not lightning quick here, which I doubt it will be, [8.0] is big.."
The North American hard court swing steps up a notch this week with the first of the two back-to-back Masters 1000 events ahead of the US Open. Last week's wager on Kei Nishikori was foiled by the weather when the notoriously brittle bodied Japanese star was forced to play two matches in a day and failed miserably in the second of these. The Rogers Cup is in Montreal this year, where conditions are generally known as on the quick side, but that doesn't necessarily mean they will be again, with court speeds slowed down throughout the ATP Tour, which hasn't been here since 2011. Defending champion from Toronto 12 months ago is world number one Novak Djokovic, who also won here in Montreal two years ago and has an outstanding 22-3 record in this tournament overall. The Serb has been enjoying practice over in Corsica of late and has been drawn in the same half as Rafa Nadal, with Roger Federer opting not to play here, presumably due to his recent back problems. Djokovic may have a slightly testing opening match against Bernard Tomic, if the Aussie can get past Florian Mayer and it's a big if in fairness, but the rest of Novak's quarter looks pretty comfortable, with the out of touch Janko Tipsarevic, Nishikori and last year's Toronto finalist Richard Gasquet the main opposition. The world number one is a short-looking [2.5] for this considering that Rafa is in the adjacent quarter and Nadal has won four of their five meetings this season - admittedly all on clay - and Rafa is available at around [8.0]. It makes little sense to me. 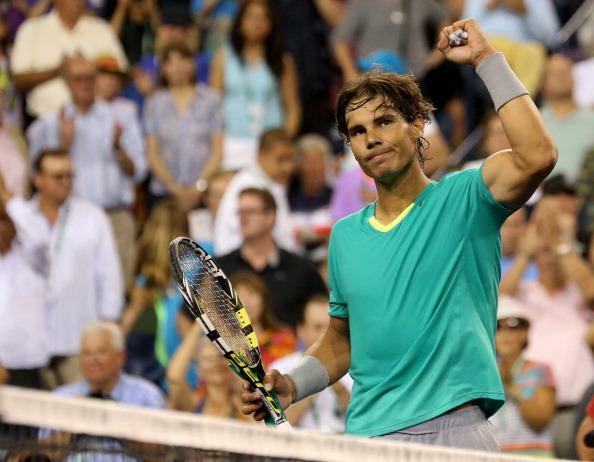 Nadal was similarly unfancied when he swept to the Indian Wells title having not played on a hard court for a year, so maybe the Wimbledon loss to Steve Darcis and persistent rumours about his knees have led to this price. The Spaniard has won here in Montreal before and in New York of course, so I doubt conditions here will be a problem for him. Rafa's quarter contains Jerzy Janowicz, whose injured bicep puts me off having an interest in the Pole at around [67.0]. Others who have the weapons to trouble Nadal on a hard court in that section include Tommy Haas, Philipp Kohlschreiber, Benoit Paire and Stan Wawrinka, but Rafa is a combined 27-1 against those four and only Janowicz looks a threat unless Paire has one of his unplayable weeks. Andy Murray leads the bottom half of the draw and he has several talented players in his quarter who could easily get the better of the Scot if he continues his patchy recent form in Masters 1000 events. Of the five Masters 1000s that he contested this year Murray has only been past the last eight once, which was when he won Miami and the in-form Juan Martin Del Potro looks the big threat in that quarter. Delpo has carried on in Washington where he left off at Wimbledon and probably only Ernests Gulbis, Marcos Baghdatis or Grigor Dimitrov look capable of challenging Delpo and Murray in that section, with Milos Raonic still all at sea with his game. The Tower of Tandil looks a touch short though at [9.0] considering he'll probably have to go through Murray in the last eight and the Scot is 5-2 lifetime over Delpo. The final quarter looks intriguing, with Tomas Berdych and David Ferrer the top seeds there, but they will be tested by John Isner, Nico Almagro, Kevin Anderson, Radek Stepanek and perhaps even Alex Dolgopolov or Gilles Simon. Isner has never made it past the last 32 in Montreal, but he did make the semi finals in Toronto last year and he has an equally poor record in Cincy, all of which is quite surprising given that he plays his best tennis by far in North America and he could be the best value in that section at around [80.0]. My concern with him is fatigue after two long weeks in Atlanta and Washington and fitness has never been his strong point. Berdych has never been past the quarter finals in Canada, but is always dangerous on hard courts, while Ferrer hasn't been past the last 32 in the Rogers Cup, but he should perform better this time having reportedly recovered from the ankle injury that hampered him at Wimbledon. He's playing doubles this week with Feli Lopez and I suspect that he'll be the one to come through that quarter and a Cash Out chance at the semi final stage looks likely. I think that Nadal is a really backable price this week and if it's not lightning quick here, which I doubt it will be, [8.0] is big, although I've been able to get some matched at [9.6] and [9.0] is still likely to be matched. Rafa is clearly keen to get back to winning ways after Wimbledon and arrived here early to acclimatise to conditions. He has also signed up to play doubles here with Pablo Andujar, which will give him more time to attune to the conditions.